Providing you the best range of acid and alkali thermocouple teflon coated sheath, acid and alkali rtd anti corrosive sheath, molten aluminium thermocouple, thermocouples, low cost thermocouple and quick disconnect thermocouples-tq with effective & timely delivery. Teflon Coated Thermocouples measure temperatures in highly corrosive acids and alkalis. The thermocouple measures temperatures up to 200 °C, suitable for applications such as plating, pickling, and acid baths. The sheath is constructed of SS316 / SS316L and then Teflon (PTFE) coated to protect the RTD element from corrosion and heat degradation by the acidic or alkaline medium. Permanent solution for temperature measurement of molten aluminium. MeltAL is a new material design to withstand molten aluminium corrosion much longer than any other solution. Good heat & abrasion resistance & it is not brittle. 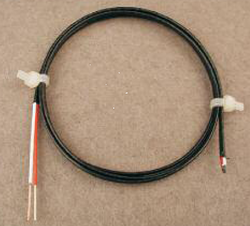 Thermocouples generally trump RTD Sensors for ruggedness, speed of measurement, range of temperature and cost. 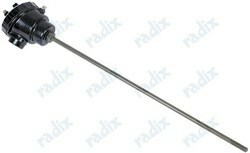 We manufacture all types of Industrial Thermocouples, be it Pharma, Rubber(Banbury Mixer), Automotive, Plastic, Metal and Mining, Dairy, Food & Sanitary Industry. Low cost thermocouples are economy model sensors, designed for easy and quick mounting on the surfaces whose temperature is to be measured. The low cost sensors are specifically designed for hazardous applications like measuring curing temperatures of cement or concrete, intermittent dipping in molten aluminium, for test beds in automobile industries and surface temperature of machines, where repetitive use of newer thermocouples are required. 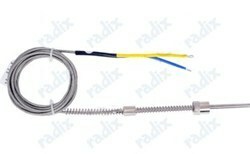 The thermocouples are built with exposed hot junctions with stripped leads. Exposed measuring junctions gives the thermocouples a faster response. 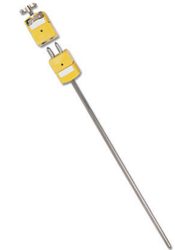 Quick Disconnect thermocouples are lightweight,with a quick response time and have a compact 3-pin miniature plug and socket for easy connection and disconnection. These features along with their mobility make them suitable for laboratory applications. 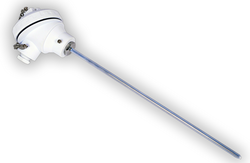 The TQ series model are economical as compared to conventional thermocouples. The contacts are polarised, which prevents reverse connection. 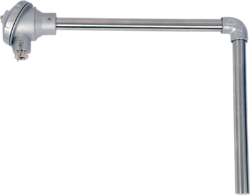 Mineral insulation,compacted Magnesium Oxide (MgO) protects the thermocouple assembly from vibrations and increases its durability. 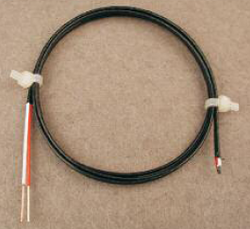 Looking for Thermocouple Coated Sheath ?